Hand chosen accessories and essentials for use with your car cover. Set of 4 x Inter connecting 10 meter long straps with clips which go over the top of the cover and under the car to add extra strength and security in high winds and for your piece of mind. The AutoGlym Hi-Tech Flexi Water Blade incorporates amazingly flexible structure together with a patented wiping design to rapidly remove rinse water from a vehicle’s bodywork after washing. The ideal Store bag for your car cover. Sturdy Zip, Waterproof Lined with handles. Size XL. A sock designed to cover your bonnet emblem ( eg Winged Lady on Rolls Royce ) before fitting a car cover. This oversock protects the emblem from damaging the cover. Not required on Advan-tex covers where a pocket is machined into the cover on request. Set of 2 x spare underbody cover straps with 4 x Male Clips and 4 x Silicone Boots. Ie the complete set that come with all Cover-Zone covers. Does not apply to Cielo and Advan-Tex. Those are available on request. Contact Us for details. Recommended as the best personal alarm available today. It is not surprising that the MINDER is widely regarded as the leader in personal alarms, this model also includes an inbuilt torch. Ideal for breakdowns. 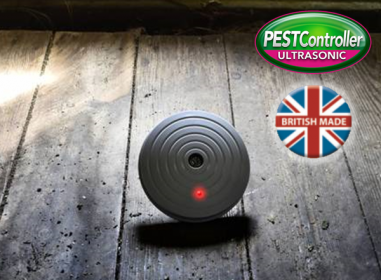 PESTController ultrasonic mouse deterent protects your property, car or caravan from mice, for use indoors or under cover. Battery Powered. A Pair of over socks designed to cover each end of an end plate on a rear spoiler before fitting a car cover. These oversocks protect the emblem from damaging the cover over time. Not required on Advan-tex covers where a pocket is machined into the cover on request.